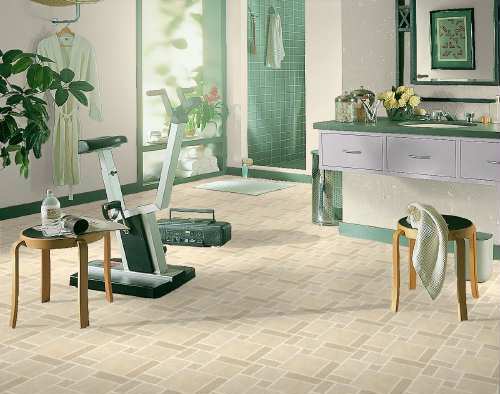 Description: Variegated tiles have a subtle stone quality that is enhanced with bold, irregular grout lines. In perfect harmony with today's natural decorating -- and in scale to enhance a wide variety of rooms. Beige and taupe tiles are flecked with cream and gray and set off with light beige grout lines. An Inlaid Color floor featuring the patented CleanSweep no-wax wear surface and a 15-year limited warranty. Available only in 6 foot width.